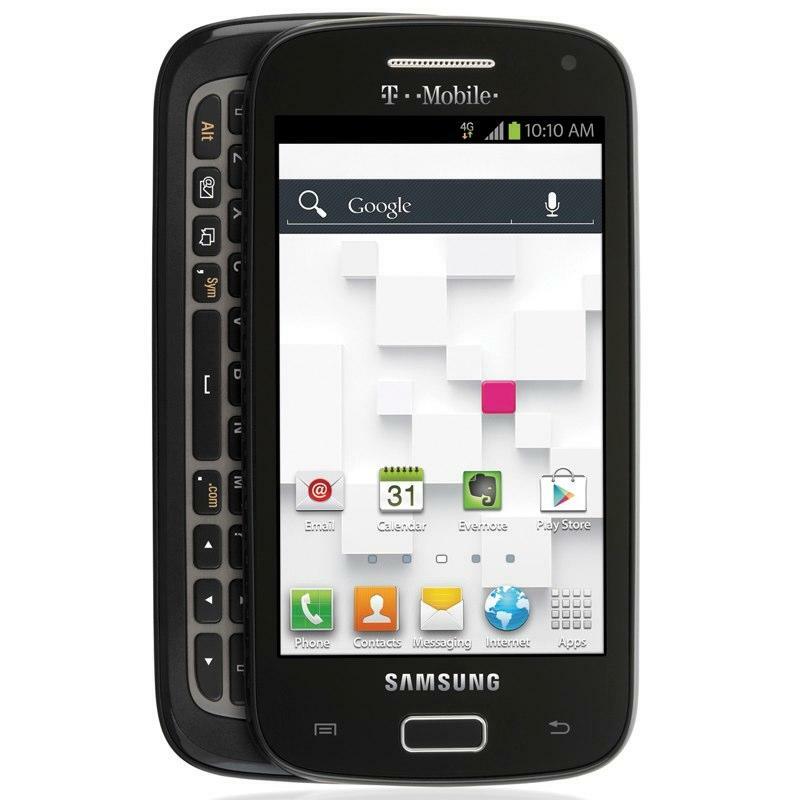 T-Mobile has this morning announced the upcoming availability of the Samsung Galaxy S Relay 4G, a new QWERTY slider powered by Android 4.0 Ice Cream Sandwich. The device is powered by a 1.5GHz dual-core Snapdragon S3 processor, with a 4-inch Super AMOLED display. It has a 5-megapixel rear-facing camera capable of shooting 720p video, and a 1.3-megapixel front-facing camera. The Galaxy S Relay 4G is also certified under Samsung’s Approved for Enterprise (SAFE) program, which means enhanced Microsoft Exchange ActiveSync support, on-device AES-256 encryption, and support for a range of VPN providers. Although the Galaxy S Relay 4G does not support LTE networks, it does feature 42Mbps HSPA+ connectivity. T-Mobile states that the device will be available nationwide at T-Mobile stores and online via T-Mobile.com in “the coming weeks.” You can check out the full press release below. [press_start]T-Mobile USA, Inc., the No. 1 mobile operator brand in Samsung Galaxy S™ sales, and Samsung Telecommunications America (Samsung Mobile), the No. 1 mobile phone provider in the U.S.1, today announced the upcoming availability of the Samsung Galaxy S® Relay™4G — a T-Mobile® exclusive and the newest smartphone to join T-Mobile’s popular Galaxy S® portfolio. Powered by Android™ 4.0 Ice Cream Sandwich, the Galaxy S Relay 4G leverages T-Mobile’s fast 4G (HSPA+ 42) network, allowing consumers to quickly and efficiently balance business productivity with entertainment and play on one device. In addition to its business features, the Galaxy S Relay 4G makes it easy to enjoy entertainment on its 4-inch, Super AMOLED™ screen. The new smartphone includes a number of compelling features, such as T-Mobile TV in mobile HD2 for watching live TV programming, Samsung Media Hub for renting and buying the latest movies and TV shows, and Google Play Music for streaming and purchasing music. The Galaxy S Relay 4G also makes capturing photos and HD videos a breeze with its 5-megapixel rear camera, a 1.3-megapixel front-facing camera and 720p HD camcorder (1280×720) resolution. 1 Samsung Mobile is the No. 1 mobile phone provider in the United States according to Strategy Analytics, North America Handset Vendor Marketshare, Q2 2012, and Samsung Electronics Company is the No. 1 smartphone provider worldwide according to Strategy Analytics Global Smartphone Vendor Market Share by Region: Q2 2012. 2 Mobile HD TV can deliver a bit rate of 800kbps and 16:9 resolution; the bit rate and resolution you experience will vary based on many factors, e.g., programming and network connection.